Many riders looking to own a horse begin this process by leasing. Edie works with the rider to find the horse that matches the student's abilities and goals. 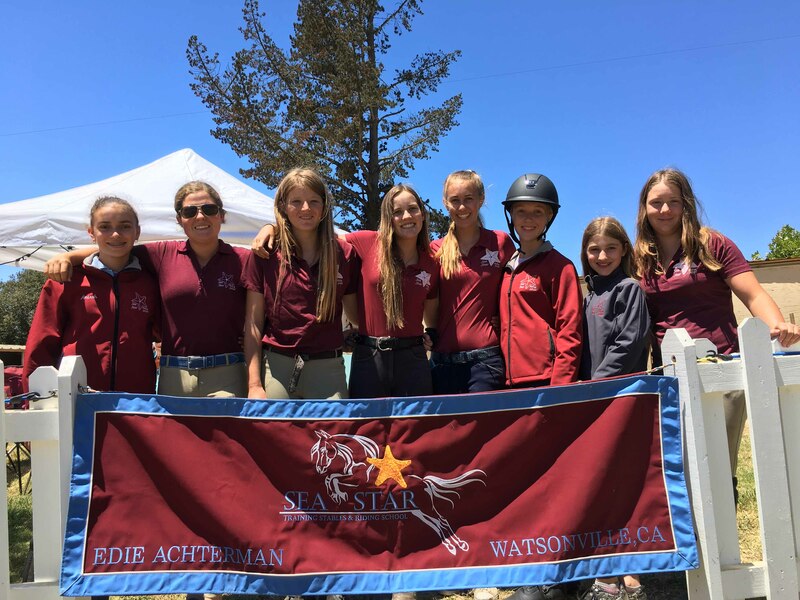 Occasionally, Sea Star has a horse available for lease. The cost of leasing includes lessons and the lease fee. Any additional expenses outside of lessons and board (which includes the stall & two meals) are covered by the student, except medical care, which will be split according to the percentage of the lease. Partial Lease: $700 / month - 2 lessons and 1 free ride per week. Full Lease: $1000 / month - 2 lessons and 3 free rides per week. Contact Edie at 831.229.1940 or achterman.edie at gmail dot com to discuss lease options.